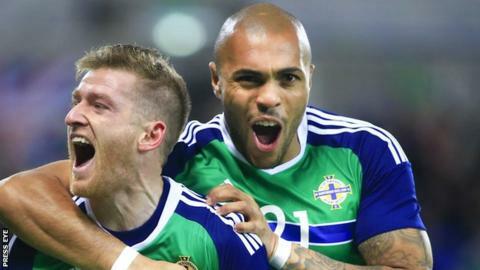 Northern Ireland and Wales are set to play each other in March as part of preparations for the Euro 2016 finals. It is understood weeks of negotiations have ended in agreement for a friendly to be staged at the Cardiff City Stadium on Thursday, 24 March. Four days later, Northern Ireland will take on Slovenia in a friendly at Windsor Park. Michael O'Neill's men face Poland on 12 June in their first ever appearance at the European Championship finals. Wales, who are in the same group as England, start against Slovakia on 11 June. The Football Association of Wales are in discussions over a friendly against Ukraine in Kiev in March.